Main Products： Crystal lamp. Fan lamp. Dining lamp. Night lamp. Table lamp. Table lamp. Lamp. Ceiling lamp. Wall lamp. Hallway lamp. Light.LED. Crystal. Living room lamp. Indoor lamp. Bedroom lamp. Shop No. 30779, Street, Floor3, Gate No., MarketYiwu Production Material Market. 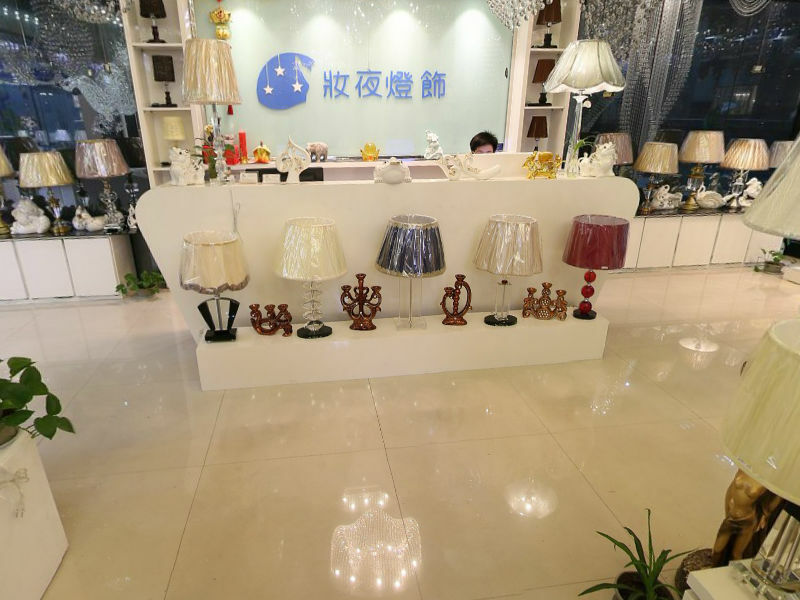 Introduction： Yiwu make-up (night) Lighting Co., Ltd., is a special art lighting (art lamp decoration, furniture jewelry) mainly, professional development, production and sales of an all-around enterprise. Yiwu make-up (night) Lighting Co., Ltd. mainly produces: modern crystal lamp series, LED top crystal lamp series, crystal hanger lamp series, crystal chandelier series, crystal tube lamp series, crystal table lamp series and fan chandelier series. 3000 a number of noble and elegant products have gathered the essence and wisdom of R & D personnel at home and abroad, offering many choices to customers at home and abroad. We pay great attention to the construction of the engineering department, with years of experience and experience in the development of design engineers, and constantly develop excellent products to improve the satisfaction of our company and customers. The company has a number of product research and development patents, and successfully passed the Chinese CCC certification, China Compulsory Certification, the European Union CE certification and other series of certification, has been awarded a number of honorary titles, in the same industry has been in the leading position. We have been working with foreign famous lighting design companies to create a foreign market: absorbing foreign high quality lighting design concept and production technology, and providing domestic and foreign hotel, villa, bar, club, sales center and other advanced commercial space lighting design and production. It is our unswerving quality policy to continue to focus on customers, satisfy customers' requirements and exceed customers' expectations. "Striving for excellence and excellence" is the spirit of our company. All DUP ye people will take this sacred mission to the goal of struggle, and will provide better products and higher service to the customers at home and abroad as always in the best state.